After not making the list of 139 countries in 2002, New Zealand has recently risen into the top 10 of the Press Freedom Index that is created annually by Reporters Without Borders. The list has changed a bit since that first release, adding 40 countries in their ranking list, and New Zealand’s ranking has grown slowly but surely. In 2003 it broke into the rankings and shared the 17th spot with Ireland and Lithuania, but now New Zealand has reached its highest ranking at number 8 of 179 countries of the world. This shouldn’t come as a surprise due to it being a parliamentary democracy, because, according to the RWB secretary-general, democracies generally “provide better protection for the freedom to produce and circulate accurate news and information than countries where human rights are flouted” (Press Freedom Index, 2013). Radiocarbon dating tells us that New Zealand was settled between 1250 and 1300 by Eastern Polynesians who developed the Maori culture, the second largest ethnic group in the country. Due to its remote location, it was one of the final major land masses to be discovered and settled. The Europeans formally discovered the two islands in 1642 and immediately introduced the native culture to potatoes, muskets and armed conflict. After the Musket Wars in 1840, the British and Maori populations officially made New Zealand a colony of the British Empire on July 1, 1841. It took many years of self-governing, but, finally, in 1947, the country confirmed its self-governing status and adopted the Statute of Westminster. This statute gave New Zealand the ability to be involved in legislative decision making by British parliament. As previously stated, New Zealand is run by a constitutional monarchy but also has a parliamentary democracy. Queen Elizabeth II is the current leader of New Zealand and also serves as the head of state. She is represented by the governor-general, an appointed official assigned at the suggestion of the prime minister. The Human Rights Commission is in charge of monitoring on human rights in New Zealand. Every few years, beginning in 2004, HRC publishes a “report card” that informs all citizens of what New Zealand is doing right in the way of human rights and what they plan to work on for the next five years. In the 2010 report, the commission found that New Zealand “continues to meet and often surpasses human rights standards in many respects.” Similarly, the U.S. Department of State says the government of New Zealand has generally respected the rights of individuals, but there have always been concerns regarding the treatment of the indigenous population. In spite of the questionable treatment of Maori population, New Zealand is seen as one of the world’s most well-governed nations ranked at No. 5 out of 167 on the Economist Intelligence Unit annual Democracy Index of 2011. In the midst of the 1980s, the economy shifted to a free-trade economy. Its markets are full of agricultural exports, such as wool and meat. It has recently become known for a recent addition to the export list, wine. New Zealand is also well known for its beautiful climate and diverse landscape. Tourists fill the mountains each year and are excited to see the backdrop of many big name movies, such as “The Lord of the Rings” trilogy. While the beautiful scenery makes New Zealand a popular vacation spot, the islands are primarily urban with the majority of the local population living in 16 main cities. Due to European colonization, English is the main language of New Zealand and is spoken by 98 percent of the population. 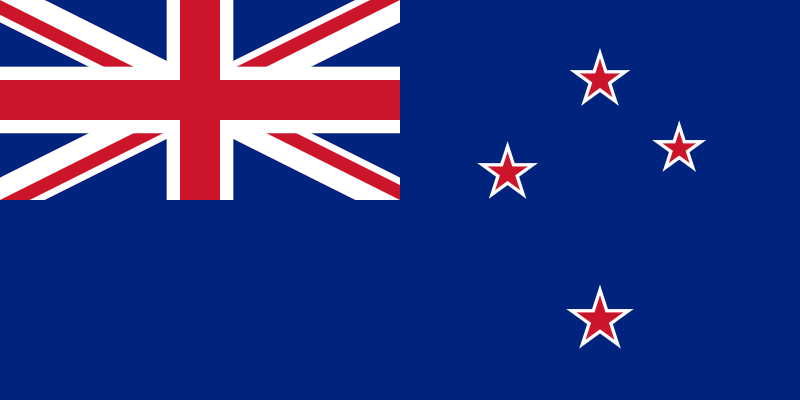 Many other aspects of New Zealand culture have English influences, such as their sports and their entertainment industry. While Section 14 protects many aspects of freedom of speech, it is limited when it comes to hate speech by the Human Rights Act of 1993. More recently, New Zealand has also started to regulate a more unique form of free speech: baby names. After hearing the heartbeat for the first time, a couple by the name of Pat and Sheena Wheaton decided to name their son “4Real” because it was “the first time they realized that their baby was ‘for real.’” New Zealand’s Registry of Births, Death and Marriage denied their bid stating that names beginning with a number were against the rules that were designed to help prevent names that would cause “offense to a reasonable person” such as requested names Satan and Adolf Hitler. The name of the child was changed to Superman in order to avoid any conflict with the government, but the parents have claimed to still call the boy 4Real. This case has called the government to open up negotiations with parents over any unusual name choices for the future. New Zealand has a record of strong action in protecting the freedom of the press. The Evidence Act of 2006 prevents journalists from being forced to reveal the identity of their sources and the Court of Appeals has laid out strict guidelines for illegal searches of media premises that could possibly compromise a journalist’s sources. any approved code of broadcasting practice applying to programs. The New Zealand Press Council was created to regulate print news media by hearing complaints from consumers regarding inaccuracies and bias. In 2013, the Law Commission recommended the establishment of the News Media Standards Authority to be the new organization in charge of current affairs and news media complaints. Unlike the United States, New Zealand is very well qualified to be one of the freest countries in the world. On the Free Press Index New Zealand has a steadily risen in the rankings while the United States has slowly dropped. It has increased some years, but never higher than 20 out of 179. On the Economist Intelligence Unit annual Democracy Index of 2011, New Zealand was ranked fifth out of 167 when it came to being the one of the most well-governed nations. The United States came in at 26 on that same list. While the United States and New Zealand are two of the more free democracies in the world, New Zealand’s laws and governing are more liberal when it comes to the freedom of speech. The United States would have ruled against Moonen due to graphic images of a child engaging in acts with an adult, like in the case New York v. Ferber (1982). The United States has many regulatory agencies in charge of overseeing broadcast decency, such as the Motion Picture Association of America which is in charge of rating movies based on gore, sexual scenes and obscenities. These agencies act like the NGOs of New Zealand and establish requirements to protect its citizens and keep order. Even though people may be convinced the United States is the “freest country in the world,” New Zealand’s various superior rankings show that that is a false idea. New Zealand’s roots of self-governance has set the country up for years of stability and strong leadership keeping in mind the rights given to each and every one of its citizens.